I have never been asked to give a talk on the theme of the Orang Asli being outsiders in their own land. When I first saw the title assigned to me for this conference, it did seem to me that it is rather an overstatement to categorise the Orang Asli as ‘outsiders’. So I decided to check up the dictionary meaning of the term. The Merriam dictionary defines an outsider as “a person who does not belong to or is not accepted as part of a particular group or organization"; or in the British context, a person or a contender who is not expected to win a race or competition – as in someone having only an "outside chance of winning", for example. Defined as such it was really stretching it far to class the Orang Asli as outsiders. However, the online dictionary also gave synonyms and antonyms for the word 'outsider'. Other similar terms for outsider included 'foreigner', 'non-native', 'outlander', and 'stranger'. And the antonym, opposite, of outsider is listed as 'native'. Now the assigned title seemed to make sense. Yes, some Orang Asli do see themselves as strangers, as if they were aliens in their own land. Some, if not most Orang Asli. I should clarify at the outset that the Orang Asli are not a homogenous group, nor do every one of them feel as if they are outsiders in their own land. It is those Orang Asli who find encroachers on their lands, who are being told to vacate their ancestral lands for somebody else, or those who are now being told that the land that they and their ancestors considered theirs since time immemorial, is no longer theirs. And this is invariably because they simply do not have a paper document attesting their ownership to it. 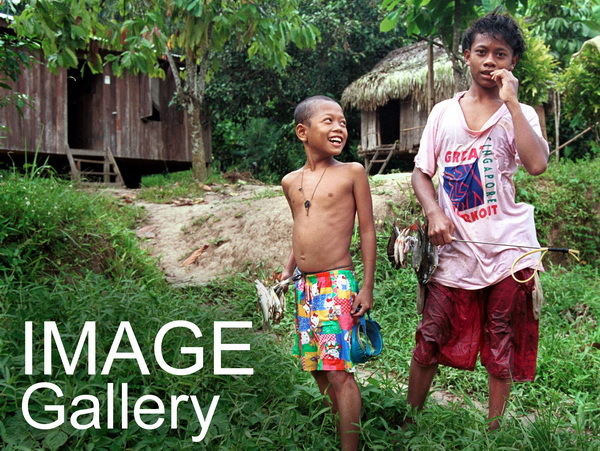 In many ways, these Orang Asli feel as if they were outsiders in their own land. So why do Orang Asli often feel as if they are outsiders in their own land? First, one needs to understand the concept of 'land' as the Orang Asli relate to it. There are two categories of land which are relevant here: customary land and the 'motherland', the nation state. The customary land – called variously in their own languages as nenggirik, tanah adat andteik sakaq – is the geographical space or ecological niche that is specific to each Orang Asli community. It is not land per se, but specific customary land for each community, within a specific boundary. The other ‘land’ that the Orang Asli identify with is the 'motherland' – the Malaysian nation state. This is the larger imagined entity that the Orang Asli are now citizens of, that they have been incorporated into. I contend that in both cases, in their customary land and in the 'motherland', many Orang Asli would consider themselves as outsiders. 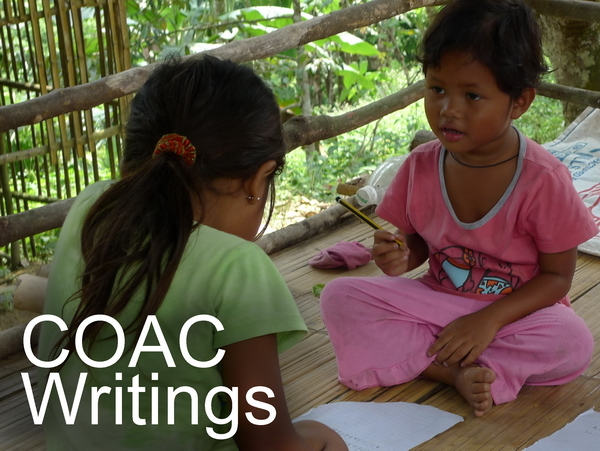 In the traditional, early context, of their customary land, the Orang Asli would have enjoyed full autonomy over their traditional lands and territories. These are lands held by them by custom and history, and which our courts have recognized as being native title lands under common law. These are lands over which the Orang Asli community exercised full political and economic autonomy. These were customary lands where the Orang Asli were in control of. These lands were also exclusive to the Orang Asli community. Others wanting to enter, occupy or exploit the resources therein could only do so with the expressed consent of the community concerned. It was as if the Orang Asli customary territory was a country on its own. More than that, it was this specific geographical space, this ecological niche, which produced the history, culture and identity for the community resident there. The customary land was the schoolhouse of the young and the repository of the heritage of the ancestors. It was also the source of their spirituality and the basis of their worldview. It was these specific customary lands, and their relationship to them, that defined the Orang Asli community as a specific people. Such as the Semai of the Woh River Basin, or as the Jakun of Tasik Chini, or as the Seletar of the Johor Straits. The customary land is, therefore, not just a resource base for their subsistence needs; it is not just a place for them to gather forest foods, building materials and medicines. It is their home country. It is their homeland, whose boundaries were (and are) recognised by neighbouring Orang Asli groups, and over which they exercised full autonomy. It was on this land also that they determined for themselves the nature, pace and content of its development. The reality today, however, is so far removed from the past. 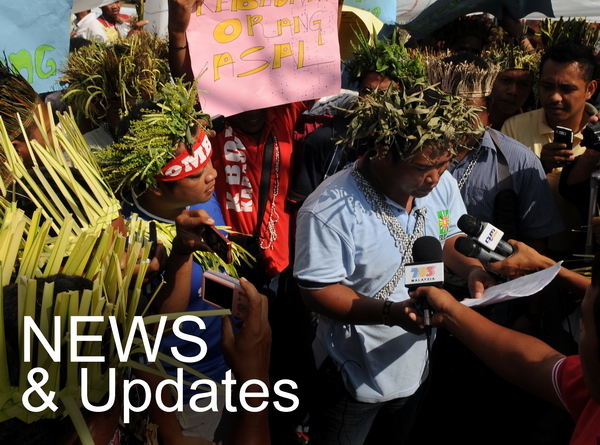 Orang Asli rights to their customary lands are not recognized. 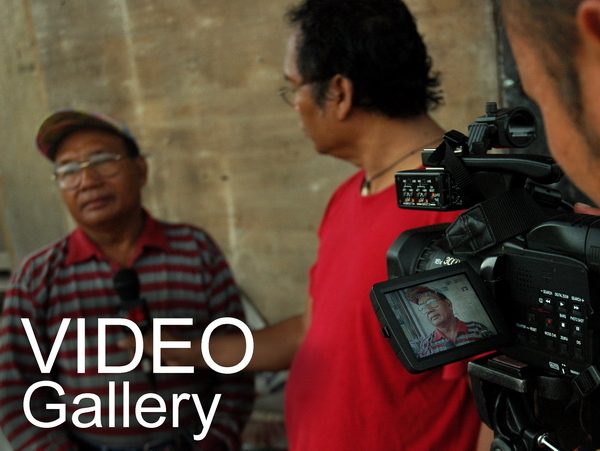 In fact, the Orang Asli are increasingly being challenged to have to prove their title to it. They no longer exercise autonomy over these lands, and may be even required to resettle elsewhere to make way for the needs of others, which arguably take greater priority. So-called development programmes ranging from the RPS regroupment schemes, the so-called people-oriented ladang rakyats, giant mono-crop plantations and mega-development projects such as dams and mines, impose on the Orang Asli's traditional control and ownership of their customary lands. Sometimes, even individuals, backed by a failed system of land administration and distribution, are able to acquire lands which are obviously Orang Asli-occupied and worked on. Such occupation would be obvious to the district land officers when they supposedly did their site visits, prior to giving their clean bill of occupancy to the new land applicant. In most of such cases, it looks like an inside job, with insider knowledge and connections. It is the Orang Asli, on the outside, who invariably lose out. Often these encroachers into their lands are newcomers. New to the area, and certainly later arrivals than the Orang Asli to this peninsula. Yet they have more power, more authority, more rights than the Orang Asli. How then not to feel as if you are an outsider in your own land? As I stated earlier, there are two categories of land which are relevant here: customary land and the motherland (or the nation state). Not only do some of them feel as outsiders in their customary lands, I also contend that the law and social order of this country do also make the Orang Asli feel as if they are outsiders in the nation. There is no clearer indication of how 'outside' the Orang Asli are, how marginalized the Orang Asli are in the larger scheme of things, as in how they are treated in our written laws. This includes the Federal Constitution, where the Orang Asli (or more correctly, 'aborigines', which is the term used in the Federal Constitution) are mentioned in a few places, no more than 4 to be precise. In all these instances, they are always written in such a way that show that they are not to be the dominant or defining community in the nation state. Nor was it ever intended to be. Thus, while Part VI of the Federal Constitution explicitly mentions the need to get the consent from the Natives of Sabah and Sarawak regarding any matters affecting them, it is important to note that this recognition is not extended to the Orang Asli. And while Article 76(2) states that Parliament cannot make any law with respect to matters enumerated in the state list without the consultation of the Malays and Natives of Sabah and Sarawak in the states concerned; again this recognition is not extended to the Orang Asli. But aren’t the Orang Asli also the Orang Asal? The bumiputera? Not so, says the Federal Constitution. The Orang Asli, as has been pointed out frequently, are not accorded the special position as are the Malays and the Natives of Sabah and Sarawak under Article 153. This is especially so in the case of recognizing and protecting the Orang Asli's customary lands. Hence, while there may be Orang Asli Reserves created, they are in no way similar in the ease of creation, or in their permanency of tenure, or the extent (area-wise) that have been accorded to the Malay Reservations or the native customary lands of the Natives of Sabah and Sarawak. Whenever the federal department responsible for the Orang Asli is asked to explain the dismal and sluggish rate of gazetting Orang Asli lands as Orang Asli Reserves, their standard refrain is that land is a state matter and the department, JAKOA, is a federal agency. Hence it has to rely on the good graciousness of the states to gazette Orang Asli lands they apply for. However, Article 76(4) of the Federal Constitution does empower the Federal Government to make laws pertaining to tenure, acquisition, registration, transfer of land, and other rights and interests in land. So if it wanted to, the federal government can recognize and protect the customary lands of the Orang Asli. If it really wanted to. After all, Felda was a federal agency too, and it did get the states to release huge tracts of land for the Felda schemes. However, it does not mean that there is nothing in the Federal Constitution that has something good to give to the Orang Asli. Article 8(5)(c) in fact specifically permits the Federal Government to legislate for the “protection, well-being and advancement” of Orang Asli, including “the reservation of land” for them. This provision appears to be a clear recognition by the framers of the Constitution of the special position of Orang Asli in existing constitutional arrangements. In fact, Article 91 of the Federal Constitution makes it possible for Orang Asli customary lands to be recognized and protected through directives or actions of the National Land Council. However, in reality, to date there is no specific reference pertaining to the Orang Asli in the National Land Code (NLC). This, unfortunately, is a reflection of how invisible the Orang Asli are. So now you should be able to see just how outside the national radar, the Orang Asli are. The 1980 Manual for Land Administration, however, did provide that if the land applied is within an area declared as an aboriginal area or an aboriginal reserve, the Collector of Land Revenue has to check whether the person is an aborigine or not. This is because the Aboriginal Peoples Act 1954 restricts alienation in an aboriginal area or an aboriginal reserve only to the aborigines (or Orang Asli). According to the manual, a Malay reserve or a forest reserve or any other reserve cannot be created in an Orang Asli area or reserve. But it appears that this manual is no longer in use or applicable anymore. The Aboriginal Peoples Act 1954 is also not at all helpful in assisting the Orang Asli to secure their rights to, and control of, their customary lands. In fact, the Act provides for further means by which to extinguish whatever autonomy, or recognition, the community had over their lives. Thus, matters such as what name to give to their ethnic group, are now in the hands of an invariably non-Orang Asli Minister. The final say as to who their headman, or batin, should be is also out of their hands now. Even in finalizing the amendments to Aboriginal Peoples Act, in order to incorporate the supposedly favorable new land policy on 'giving' land titles to the Orang Asli, the Orang Asli are kept outside the loop. "It is right therefore that the Government should adopt suitable measures designed for their protection and advancement with a view to their ultimate integration with the Malay section of the community." Today, the policy is restated as integrating the Orang Asli into the mainstream society. That is, to bring them into the national mainstream. Note that you can only bring people into the national mainstream if they are perceived to be on the 'outside' in the first place. All that is happening to the Orang Asli today, all that is being done supposedly for the Orang Asli, and all that their lands are being subjected to, go against the core principles of the UNDRIP, the United Nations Declaration on the Rights of Indigenous Peoples, which Malaysia has endorsed. These core principles are: the right to self-determination, the right to self-identification and the right to the principle of Free, Prior and Informed Consent before any development or initiative is done on their behalf or on their lands. The principles of the UNDRIP are to be followed, especially those of the right to self-determination and the right to free, prior and informed consent. The theme of the conference today is Law and Social Order: Current Challenges in Malaysia. You might think that I have not kept to the theme in my presentation. Actually, I assert that it is the so-called modern law and the current social order, all defined and organized from outside the world of the Orang Asli, and often without their participation, that is the cause of much of their predicament today. So, in conclusion, it has to be said that is the law and social order of today that has made some Orang Asli outsiders in their lands – the lands which were once owned and controlled by them. The Attorney-General giving the keynote address at the opening session of the conference. The individual papers were presented at parallel sessions.